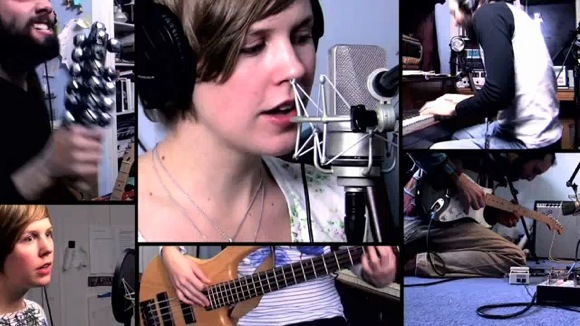 Pomplamoose is an American indie music duo made up of multi-instrumentalists Nataly Dawn and Jack Conte. The cute pair are YouTube sensations having racked up a staggering 63 millions views. I stumbled across their equally incredible and adorable cover version of Michael Jackson's classic song, "Beat It'. I was overjoyed by the charming pair and their flawlessly edited yet endearingly amateur, indie style. The pair are multi-talented instrumentalists who play everything themselves. I found their wealth of cover and original songs on their hugely popular YouTube channel highly entertaining. They employ flashy split screens juxtaposed with Dawn's lovely, gleaming voice and Conte's exuberant instrumental play. A few other stand out music videos are their versions of Beyoncé's "Single Ladies", Earth, Wind & Fire's "September", and a ridiculous rendition of the "Angry Birds" theme song. Funny enough, I discovered the band from a throw away joke at the end of a puppet video mocking hipsters. I love the sort of relaxed enthusiasm executed in every song. I enjoy covers that reinvent iconic songs in new ways like Jenny Owen Youngs taking on Nelly's "Hot in Herre" totally changing its appeal. All the instrumental ticks and tocks preciously recreate the joyous sounds of the Jackson classic. Pomplamoose are touring, opening for acts like OK Go, working on original music, and other projects. Seriously, you must watch the music video for this cover song below. Enjoy.